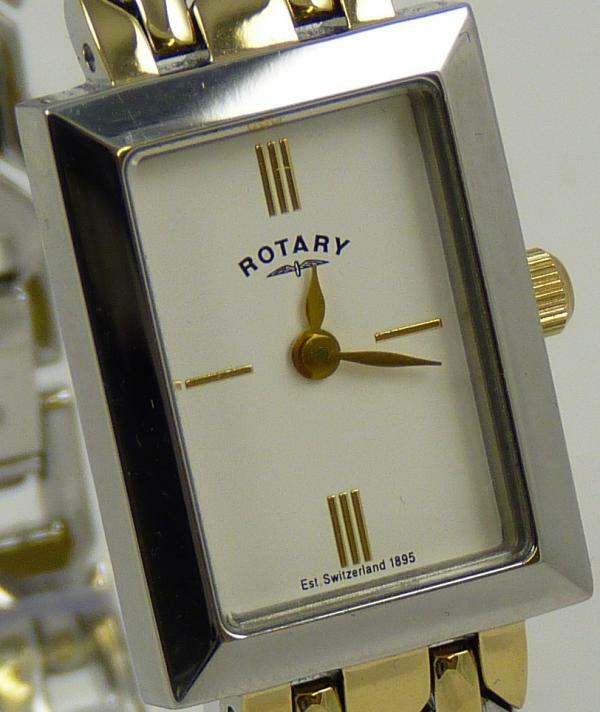 This watch is a very stylish classic design and is fitted with fully adjustable metal bracelet, and presented in genuine Rotary presentation case. A fantastic 9ct gold watch is fitted with black real leather strap, and presented in beautiful blue presentation case. CLICK HERE to check out how much you can Save over Amazon's best price. This watch is a very stylish beautifully designed watch. Presented in genuine Rotary presentation case. Fitted beautiful Stainless Steel Bracelet and Round Case. 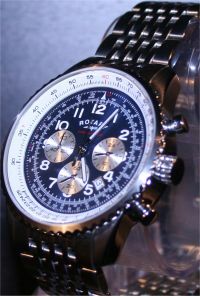 A stunning modern Gents Rotary Chronograph, Chronospeed, Waterproof watch. Fitted with a high Quality Genuine Leather Strap. 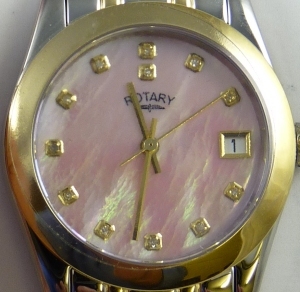 A beautiful Ladies Designer Dress Watch set with stunning Austrian Crystals framing a Luxury Mother of Pearl Face enhanced by 9 further Austrian hour marker Crystals. 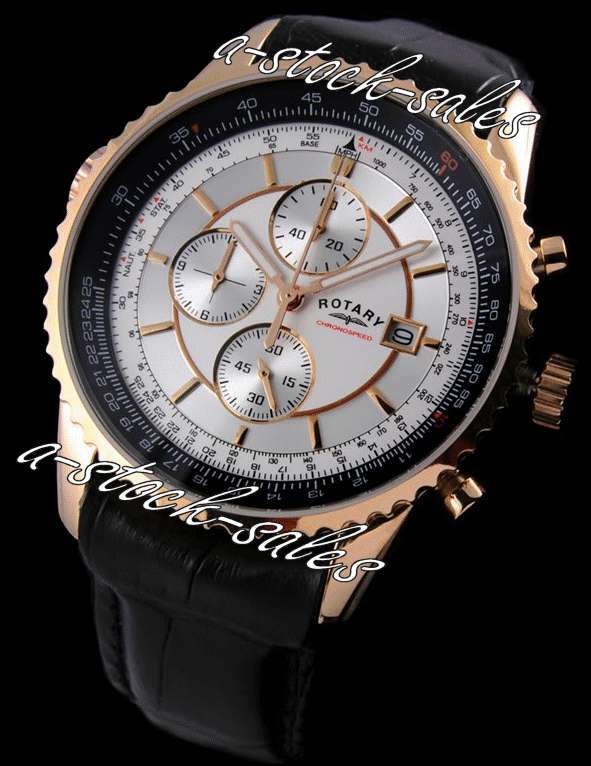 This stunningly Designed ROSE GOLD modern Gents Rotary Chronograph, Sports, Waterproof watch. Fitted beautiful high Quality 100% Genuine Black Leather Strap and stunning Rose Gold Round Case. Presented in Superb Padded Hard Case . Our stock is constantly changing, if you can't see what you are looking for - CLICK HERE - to contact us and we will try and help.